Common Greenshanks are a migratory bird that breeds in subartic regions from Scotland to Siberia and it is the Asian population that spends the northern winter in Australasia. They are fairly large waders at 30-35 cm and can be told from the very similar, but smaller Marsh Sandpiper by the size and bill, which is straight and thin in the Marsh Sandpiper and thicker and slightly upturned in the Greenshank. 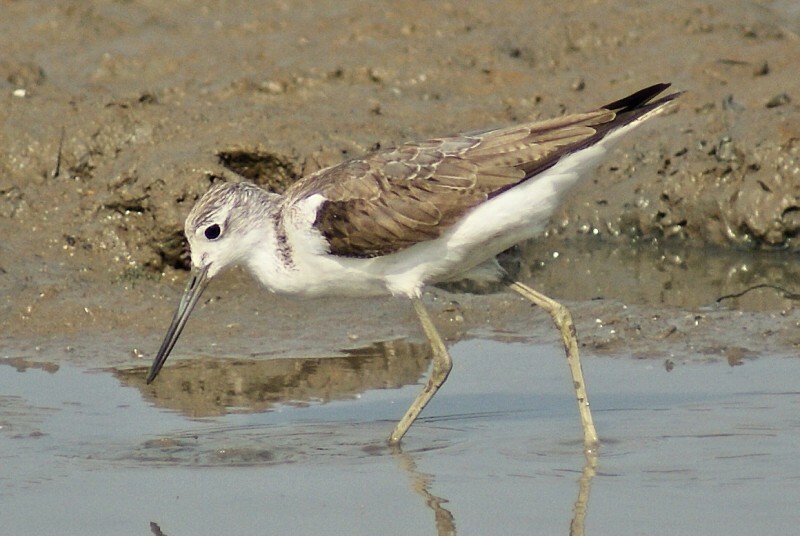 As with most other waders, they use their long bills to probe for worms and molluscs in mud or sand, additionally chansing small prey in pools. They occur across mush of Australia in coastal and inland regions.